Air Conditioner Service - Green Tree Auto Care Inc.
Not having a comfortable air temperature in your vehicle can be very frustrating. Maybe the air flow seems inadequate, the temperature is not warm or cold enough? Book a visit with us to have an accurate analysis conducted on your system. We will test it completely, report to you our findings and then provide a detailed estimate so that you can feel confident about having a repair completed. Repairing and service of modern HVAC systems requires many skills and tools to bring the system to peak operating performance. Electric vehicles rely on Air Conditioning to maintain the temperature of the propulsion battery to ensure excellent road range and cell longevity. 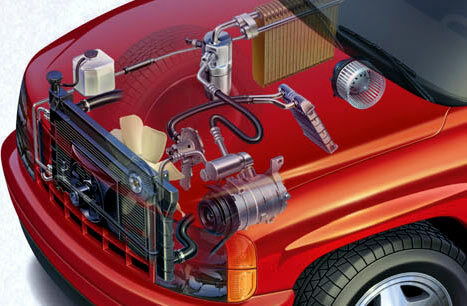 We have the skills, tools, and training to service your hybrid or electric vehicle correctly. Call or book an appointment online now.